The United States does not have assay offices, although the city of Baltimore did maintain its own Baltimore assay office between 1814 and 1830. 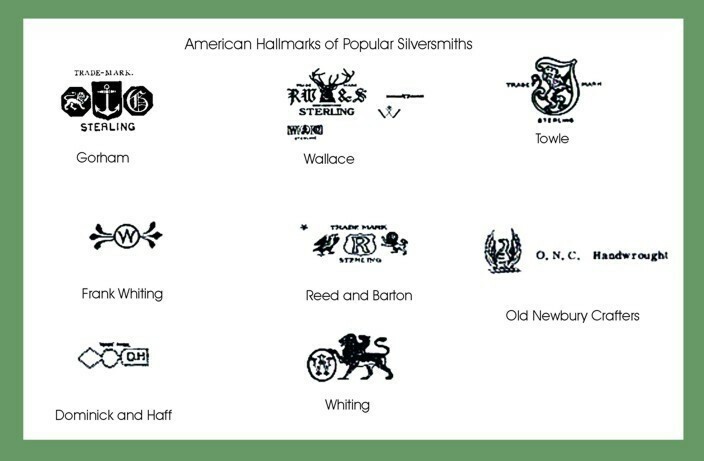 While American silversmiths have added their own marks as a guarantee of quality, there were no federal requirements for marking silver or gold until 1905. 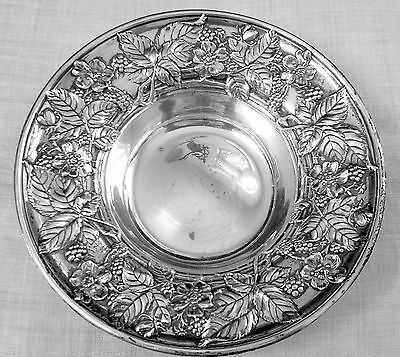 Prior to the general adoption of sterling silver as the standard of purity in 1868, silver was generally obtained from the melting of coins. Please click to read more about Trade Silver Coins and Silver Fineness. Since these could vary considerably in purity, from around .750 millesimal fineness to around .900, silver known as "coin silver" varies in purity. Silver at that time was sometimes marked "COIN" or "PURE COIN", but can also be without a standard mark altogether. Sometimes, collectors can find the word dollars stamped on a Silver object. The word Dollars on silver indicates an object was made from melted silver dollars. It is the same as the hallmark "Coin" silver. After the adoption of the sterling standard, pieces were marked with "STERLING", the number "925" or the notation "925/1000". 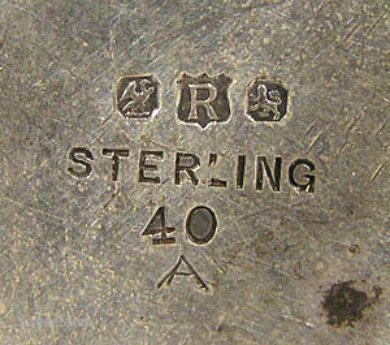 In 1850’s “sterling” was introduced. After 1907 the “Sterling” or “925” stamp was required by federal law to guarantee to the buyer that the silver was .925 – acting as an assay mark. Tiffany & Co. struck on the idea of adopting the 925 standard within their company and marking them “Sterling” as a way to differentiate themselves from their competitors. It did not take long before other manufacturers jumped on the bandwagon. There was still no law or regulation mandating the Standard of Fineness or the use of the term sterling. Manufacturers devise their own maker’s marks. Below are a few of the more prominent manufacturers.